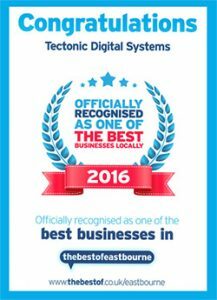 It’s been a pleasure for us to be apart of the #BuyLocal scheme in Eastbourne via the The Best Of Eastbourne in 2016 and are looking forward to see what 2017 brings. The Best Of Eastbourne promote and recommend local businesses to other local businesses and residents to help promote buying local in your town. 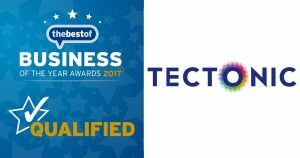 We are over the moon that we have been given great feedback and reviews from our customers that we have qualified for the #BizOfTheYear Awards 2017. This has been a great achievement for the whole team, for not only hearing our customers feedback of the service we provide but also being recognised as one of a business in the #BizOfTheYear. 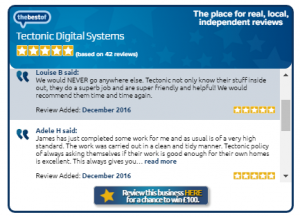 You can leave a review for any of the Best Of Eastbourne members every 28 Days, which is great if you are using a particular business or service frequently, these reviews help consumers choose and consider a business based on others experiences both domestic and commercial. 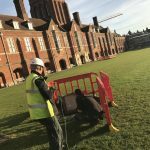 We need your help to win an award this year and all you need to do is write us a review if we have carried out any work for you recently, given you advice or given you a quote either on the Best of Website, via email or via our website. Not only do you help us but you will also be entered into a free prize draw to win £100… even better during this month for the #BizOfTheYear Awards each day you will have a chance to win £50 each day. How do leave a review?